1st 4Immigration Blog: #1 Experts for UK Visas, UK Immigration News, Training for lawyers: 10 simple Right To Rent checks for landlords - from an immigration lawyer / property investor. 10 simple Right To Rent checks for landlords - from an immigration lawyer / property investor. I have been an immigration lawyer in London for 10 years, I am a property investor and I am also an immigrant. Here's my simple (as possible) guide for the Right To Rent checks for the landlords. Unlike the Government’s documents which cover ‘everything’ and a bit scary and impractical, my simple guide covers the documents your tenants are likely to have 80% of the time and explains in plain language. #1 Check all adults who will be living in your property. Whether they are on the tenancy agreement or not. But you don't have to check children under 18 yo. You have to check tenants who will be using it as their main home - not as holiday accommodation. And it only applies to properties on England. Ask for a passport, even expired passport is OK. 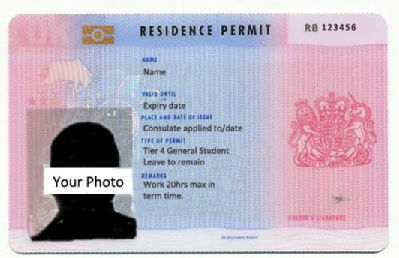 If a Brit doesn't have a passport - anyone born in the UK before 1983 is a Brutish Citizen, so a birth certificate would do together with a photo card UK deriving licence. A driving licence alone isn’t a proof of nationality while a birth certificate alone isn't a proof of identity, therefore, you’d need both. Many foreigners will also have a Certificate of Naturalisation as a British Citizen - acceptable for this purpose. Otherwise, ask for a passport. Ask for a passport or a national ID card. Can be current or expired. European/EEA citizens will have unrestricted rights to live in the UK (as now) until 31st December 2020, the cut-off date for free movement. A new registration system is being rolled out by 29 March 2019 (2 years since the Article 50) and everyone will have to be registered by 30 June 2021. Which will make your life easier - you’ll just have to check for such a document. Firstly, you see either a visa stamp or a biometric visa card. It is called a Biometric Residence Permit (BRP). Next, you see either Residence Permit, Entry Clearance or Residence Card at the top. Again, all are OK for our purpose here. 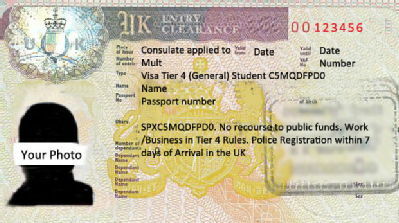 Residence Permit and Residence Card are two common types issued inside the UK while Entry Clearance - outside the UK. For example, an Indian person came to the UK on an Entry Clearance as a student and while in the UK obtained a Residence Permit as a worker after his studies finished. You move on to …. Regardless of the above terms (which are all OK), what you need to look at is the dates, from/to. Next, on a biometric visa then you see Limited Leave to Remain (or to Enter) or Family Member of EEA. Again, all are OK, it simply means there is a limit on the migrant’s stay in the UK - again, look at the dates, the visa has to be valid. #5 Most importantly, you look at the dates of the visa. When your tenancy starts, the visa has to be valid, ie in-date. #6 If you see a word Indefinite or Permanent. It is what it says - a migrant has the right to live in the UK permanently. Depending on how long ago they qualified, it can be a stamp in the passport or a biometric card. Most commonly, you’ll see Indefinite Leave to Remain or Permanent Residence wording. Some will have the date of ‘expiry’ as well as saying “indefinite”; others will just say ‘Indefinite’. For your purpose, either is OK, as long as there is a word ‘Indefinite’ or ‘Permanent’, even if it is in the expired passport. If the date of ‘expiry’ has passed, a migrant has to renew it, but for our purpose here it doesn't matter because a migrant doesn't lose their permanent right of living in the UK if their Indefinite visa card ‘expires’. Just as you don't stop being a British citizen when your passport expires. #7 Tier 1, Tier 2, student Tier 4, spouses of Brits and Europeans. Each visa is likely to have more details, which is very important to us, immigration lawyer, but doesn't matter for you, the landlord. As long as the dates are valid or there is a word Indefinite or Permanent. - Tier 1 visa is mostly for Entrepreneurs and Investors - tenants with money who may become your angel investors. - Tier 2 visa is for skilled and well-paid workers, sponsored by UK companies. Many will be IT workers, NHS workers, engineers, teachers etc. - Tier 4 visa is for students. - Limited Leave to Remain: Spouse of X - this is for spouses and partners of UK citizens. - Family member of EEA - this is for spouses and families of European citizens. #8 Visitors, visitor visas and 6 months airport stamps. Visitors are allowed to stay in the UK for 6 months every time they enter, during this time they are legally here and can rent a property. A visitor visa is a green stamp or a 6 months airport stamp. If they date are valid, they are OK.
#9 What if a tenant says they applied for a new visa and still waiting to hear from the Home Office? This will be your headache! The Home Office is not fast, so, a typical processing time for a UK visa is 3 months, and can be as long as 6 months for permanent residency. In this case, you need to use the Home Office’s Landlords Checking Service and they respond within 2 working days. #10 When to check again doing the course of tenancy? You DO have to do follow up with tenants who have a time-limited UK visa. You DON’T have to do a follow-up check if their visa is indefinite/permanent, if they are UK citizens, and (for now) if they are EU citizens. Please visit our website: http://www.1st4immigration.com/ or contact us: info@1st4immigration.com. We respond emails on the same working day. 1st 4Immigration Ltd, authorised by the OISC, ref 200800152. We operate at the highest Level 3 of expertise. Office address: 68 King William Street, City of London, London, EC4M 7DZ.